With the fluidity of heritage, does a national literature matter? Sunday’s round table on national literature, part of the Edinburgh World Writers’ Conference at IFOA, began as many academic English courses in Canada begin—with a reference to Margaret Atwood. Moderator James Grainger quoted from Atwood’s seminal Canlit bible Survival, providing a Canadian context for the theme of national literature. Grainger suggested that since the 1990s, Canadian writers have been moving away from a national literature and embracing a more regional literature. All five writers hail from countries with something of a colonist complex: Canada, Scotland and Australia. They agreed that there is an overriding feeling that an English or American novel is by default the norm and anything else is “other.” Both Irvine Welsh and A.L. Kennedy touched on the fact that Scotland hovers somewhere between a region of the UK and nation. To define a novel as a Scottish (rather than British) novel is a political statement. Kennedy said that while it is paramount that countries maintain a culture life there is always the possibility that politicians will hijack the arts for cultural purposes. Is a national literature based on the writer’s nationality or the setting of the book? When and where does quality come into the conversation? An audience member observed that as an Italian-born Canadian, he appreciates literature that is both Italian and Canadian and does not draw distinctions between them. With the fluidity of heritage, does a national literature matter? There are of course practical benefits to defining oneself as a Canadian or Australian writer. Kristel Thornell mentioned how her Australian citizenship allows her to apply for grants and be eligible for national awards. Her nationality makes her visible in a community and the cultural infrastructure of a nation provides support for its writers. This is definitely true in Canada, as well. Welsh talked about globalism and how it has created bland consumable culture, and anything interesting is pulled into the mainstream and is sanitized, synthesized and mass produced before it has a chance to percolate. There was fear among the group that globalism and the desire for an international bestseller has publishers seeking the major common denominator in fiction, that original voices are being ignored, and we are experiencing a steady decline in imagination. Despite this malaise, all the panelists swore that being true to one’s story and one’s voice was their number one concern, and claimed not to bow down to these perceived external pressures. As Kennedy says, a novel is a conversation between a writer and a reader. It is intimate and universal, regardless of the reader or the writer’s nationality. This event was part of the Edinburgh World Writers’ Conference, in partnership with the Edinburgh International Book Festival and the British Council. Follow VanSickle on her blog, pipedreaming, or on Twitter @vikkivansickle. Sunday evening’s round table, From Science to Fiction, had little to nothing to do with the way authors blur science and fantasy. It barely resembled the program description, as at least one annoyed audience member pointed out. That same member asked one of the few questions related to the discussion title, namely, how science relates to each author’s fiction. So let’s get that over with, shall we? Robert J. Sawyer is out with his new novel, Triggers, in which characters have access to a sort of groupthink. Sawyer said he writes “hard science fiction” where research (in this case on memory science) is integral to the plot. Hiromi Goto’s novel, Darkest Light, revolves around a boy’s discovery of his monstrous past. Goto said she is inspired by science’s often-poetic language and the non-scientific meanings she can render from its vocabulary. If books are conversations, Goto said, she is more interested in learning how readers interpret her words. Her goal is to open the text up to a wider audience, not, she suggested, narrow the discussion to those who already get it, like Sawyer. Sawyer argued he goes to great lengths to break the “glass ceiling of genre fiction.” “I’ve written more books than the two of you combined,” he said, pointing out that he began shedding the traditional sci-fi tropes (such as spaceships) with his very first novels. He added that he attracted new fans to the genre when his 1999 novel Flashforward was turned into a series of the same name for ABC in 2009. “A thinking person’s thriller on primetime television,” as he calls it. Sawyer admitted Amazon.com was good for one thing. The site doesn’t label books like stores; isolating genre authors from potential readers who might never think to enter the science fiction section. Learn more about Milic’s attempts to read every book in her home on her blog. “I just started writing and writing until I had a 300 page blob,” said Andri Snær Magnason of his award-winning novel, LoveStar, “and then I started un-writing.” And it was this process of un-writing, revealing how authors discovered the narrative paths their stories have followed and all the many ones abandoned along the way, that was the focus of Saturday evening’s round table discussion, The Roads Taken. At the table was a varied bunch: Emma Donoghue, Irish-Canadian author of award-winning novels including Room and the new historical short fiction collection, Astray; Alix Ohlin, author of the Giller-nominated novel Inside, about a Montreal therapist and a man who attempts to hang himself, and a recent short story collection, Signs and Wonders; Magnason, the Icelandic renaissance man who has directed documentaries as well as written fiction (such as the above-mentioned LoveStar), non-fiction, plays, best-selling collections of poetry (yes, you read that correctly—best-selling poetry) and children’s books such as The Story of the Blue Planet; and Cordelia Strube, award-winning playwright and author of eight novels, including her latest, Milosz, about a friendship between a man and a young autistic boy. With a group as diverse as the one gathered, and a topic as wide as the process of writing, demands on the moderator are great if the audience is to fully understand and engage in the conversation. 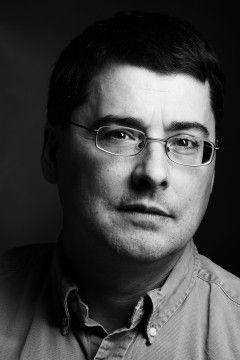 Thankfully, Steven W. Beattie, writer, critic and reviews editor for Quill & Quire magazine, was at the helm, steering the conversation with confidence as well as a deep knowledge of each of the authors’ works. Much of the evening’s talk emerged from the dichotomy of intuition versus structure at the beginning of a project. While Ohlin said she arrives at the realization of her stories “spastically, through intuition,” Donoghue admitted that if she followed her intuition alone she would be able to write no more than a one-page story. Strube described her desire to fully disappear into the world of the novel she creates, befriending the characters and totally living in their world for years at a time, and that this desire structures her whole approach to writing a story. Ohlin and Donoghue, though, said they enjoy the freedom of the short story format to take risks such as experimenting with new genres or bizarre constructs. Ohlin also recounted advice she once received from an agent, suggesting she remove Canadian references that might make her work more difficult to market in the USA. She said that the stories this approach resulted in felt, to her, shallow and generic, and that she now prefers to feature details like the word “depanneur” in her work, as it is the challenge of using such culturally specific terms in an accessible and meaningful way that makes a story compelling. Cordelia Strube added that she feels a responsibility to reflect such specific cultural details, believing it is the job of a writer to “document our time.” Donoghue, meanwhile, admitted that in writing she desires “the freedom to travel” to different eras and different geographies, which certainly opens access to a whole new set of roads to take. Find out more about Goldberg on her website, or follow her on Twitter @b_goldberg. Saturday’s round table discussion, Zombies, Witches, Killers and Cowboys: Visions of the Future of the Novel, featured a group of authors from various genres with a wonderful natural chemistry. The scope of the discussion was large, touching on themes such as genre, love, the imagination and the writing process. The audience was very welcoming—and obviously full of Jo Nesbø fans. Moderator Andrew Pyper kept the tone of the discussion light and fun. At one point Nesbø described storytelling as inviting people to your house; if they like it, they will come again. The event very much felt like we had been invited into a cozy collective living room. The discussion included a number of personal anecdotes and I’m sure if given the opportunity the audience would have stayed all afternoon to hear these mix of authors talk. The question of genre and categorization was one of the more interesting and heated discussions. Genre writers often feel sidelined or undermined by the literati. According to Nesbø, crime fiction is respected and prestigious in Scandinavia, but this is not the case in North America or England, causing Pyper to surmise what a M.G. Vassanji or Anne Michaels crime novel would look like, to much laughter from the audience. Redekop brought up the case of Margaret Atwood, who made her mark as a literary writer and poet before diving into genre fictions such as The Handmaid’s Tale, Oryx and Crake, and The Year of the Flood. Redekop wondered if she had written these novels first, would she be considered “merely” a science fiction writer? Atwood herself refers to these novels as “speculative fiction,” which many sci-fi writers find evasive and suggest that in using this term Atwood herself is aware of (and avoiding) the stigma of genre writing. Deborah Harkness and Alen Mattich talked about the constraints of genre. Harkness referred to genre as a weapon, used by critics and literary award committees to demean so-called genre writers and exclude them from the literary elite. She also talked about genre policing, in which readers and critics are quick to exclude titles based on an arbitrary set of rules or perceived notions about genres. Harkness is a historian and a professor and talked about the snobbery of her own colleagues, who assumed she would write her fiction (which features witches and vampires) under a pseudonym. Mattich agreed that in North American and British literary circles there is some derision of genre fiction, but he felt that the constraints of genre fiction benefit the writer. With no constraints, Mattich believes it would be harder to succeed. The framework provided by these categories, as arbitrary as they may be, allows the author a framework to push against or an opportunity to test the boundaries and perhaps come up with something fresh and new. There was some discussion as to why we categorize. Harkness believes the categorizations exist only for the reader, and Redekop confessed that as a librarian, categories are are a useful tool when readers are seeking something to read. Nesbø pointed out that genre is all about expectation. When a reader picks up a crime novel or a paranormal romance, they expect certain conventions. Like Mattich, he felt that these expectations make it easier to frame a story. So what of the cross-over novel, that holy grail sought by publishers, which seems to defy genre or categorization? The panel agreed that to write for the masses, or seek something as elusive as the cross-over novel, would endanger the story. As Nesbo says, don’t go to the people, invite them to come to you. As for the future of the novel? The group steered away from discussion of format (re: e-books) and instead focused on content and what readers want. The panelists all agreed that story is here to stay. As Mattich says, people don’t like random events or information. We like a story to explain things. Redekop took this one step further, suggesting that we are genetically predisposed to create stories in order to understand the world around us. Nesbø suggested that some of the most interesting writing is not in the novel, but in other formats, pointing to cable TV and shows such as Mad Men. He believes that in the future readers will want to be challenged, and that writers of all forms and genres should be ready for a world of intelligent readers. Last night’s event, part of the Edinburgh World Writers’ Conference at IFOA, featured two very different speakers covering two very different topics. From England, award-winning fantasy and science fiction writer China Miéville postulating on the future of the novel, and from Canada, literary darling Miriam Toews dissecting the idea of a national literature. Thanks to moderator Rachel Giese who drew clear parallels between these two very different keynote addresses and lead the audience in a rich discussion. I made it, it’s mine. Miéville is a commanding speaker who delighted the audience with wry and at times critical observations of the literati and an imaginative and open view of the future. He spoke passionately about the demise of authorial authority, envisioning a future where “guerilla editors” get their hands on texts and edit, embellish, and “re-mix” content. Texts will no longer be “closed” in an era of digitally distributed texts. We need to change our perspective and put the book ahead of the author. Once authors can get over the fact that they aren’t special, they are workers like anyone else, it will allow the focus to be on the book. The crowd rallied behind Miéville’s vision of the future in which writers receive a salary, a somewhat far-fetched idea that would require the toppling of current political and economic systems—but one can dream, right? 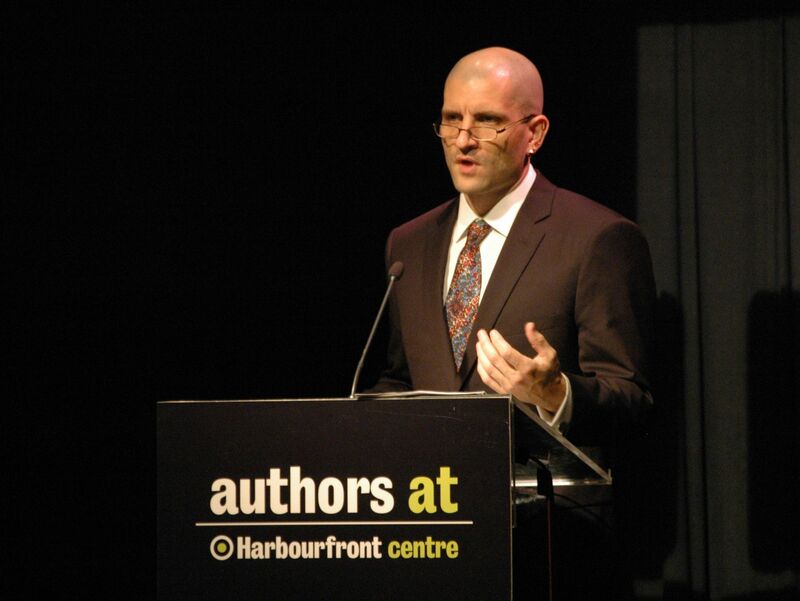 Miéville’s address was a perfect example of how content can be re-mixed, as it was based on a speech given earlier this year, with some alterations based on the discussion it generated. Talk about metafiction! You can check out his original keynote address here. Serve your nation by serving your story. Toews believes this is the crux of the problem with a national literature—that it demands obligation and confines the writer to ideals that may not exist. Ideas of national identity belong to the past, and any attempt to construct an identity will be outdated by the time the reader comes to it. If the writer has any job at all, Toews said, it is only to serve the story. By serving the story the writer is ultimately serving her nation. Some thoughts to take away. Toews described fictional stories as “a secular bible of a community,” which struck me as a sage observation. Think of this year’s Canada Reads format, in which people are asked to vote for books that represent a region and then one book will be chosen out of these books that ultimately represents Canada. Celebrating regionalism only to pit the regions against each other seems contradictory. I’d be curious to know what Toews take on this format is. Both Miéville and Toews spoke about the book as living thing, and how interpretations are as varied as the individuals who read the book. Being surprised by a reader’s take on a character or receiving fan art work or fan fiction exemplify ways in which a book “lives.” An audience member asked, “But what if they get it wrong?” Both Toews and Miéville insist that there is no such thing as a wrong interpretation, and just because an author created a work does not make them the ultimate authority. Some heady discussion and lots to ponder! Looking forward to Saturday’s double bill! Russell Wangersky, author of Whirl Away, will appear in three IFOA events this weekend, including the Scotiabank Giller Prize event. IFOA: Your new short story collection has been shortlisted for the Scotiabank Giller Prize (congrats!). What is it about short stories that appeals to you? Wangersky: I like short stories for a simple, greedy reason; they are short enough that I can hold the entire story in my head while working on it. With novels, you end up going back and forth sometimes, trying to remember just exactly where something happened. The legwork is incredible, and, frankly, not much fun. IFOA: Which of the characters in Whirl Away is most like you? Wangersky: I think I have to say Tim McCann, the ambulance driver/paramedic in the story “911,” because he drives around with the same passle of self-doubt I do. 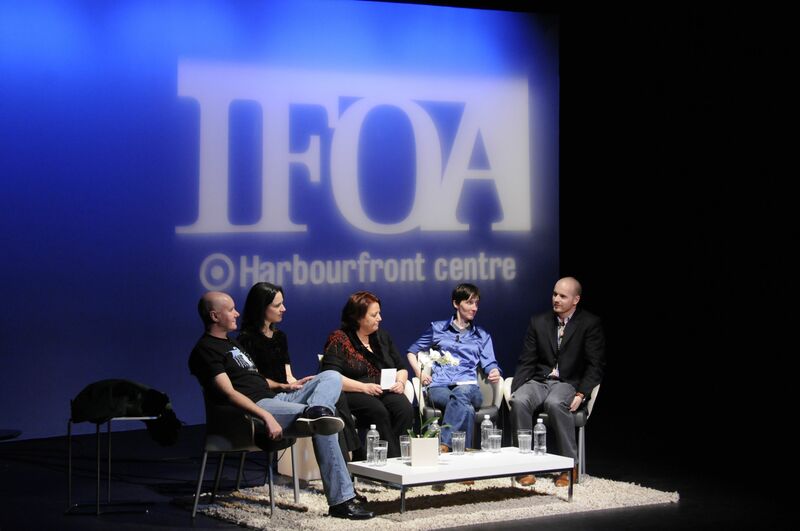 IFOA: When and where do you write? Wangersky: I write at a computer in my kitchen in St. John’s, during whatever time I can steal between a full-time newspaper job and magazine freelance work. 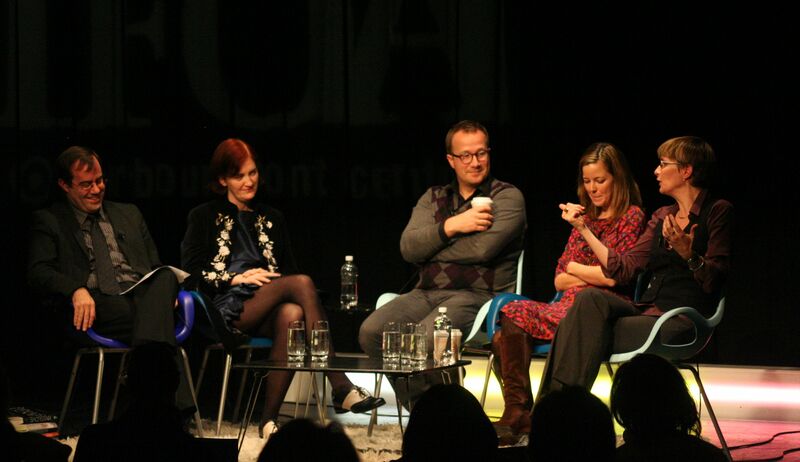 IFOA: If you could time travel, where and when would you go, and why? Wangersky: I honestly like the right now—but I think that’s mostly because I’m naturally unsettled with new things. I know where I fit in the familiar. 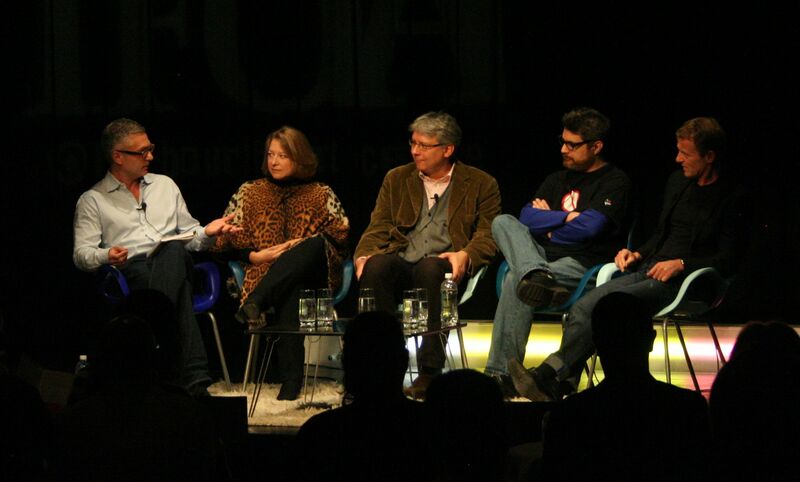 For more about Wangersky at IFOA, click here. 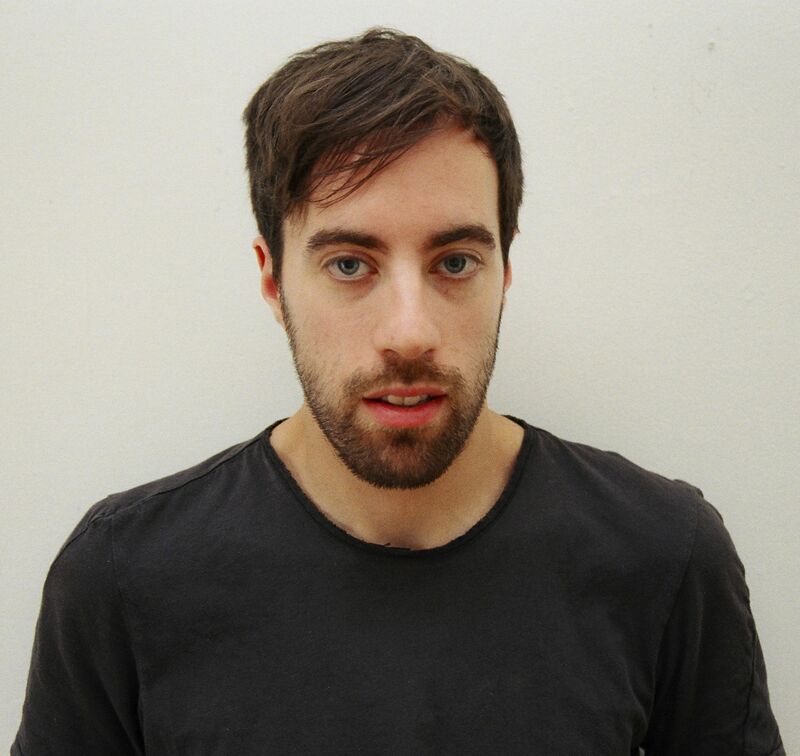 Ned Beauman will share The Teleportation Accident in two IFOA events this weekend. He will also travel to Parry Sound with IFOA Ontario. IFOA: If you could be teleported anywhere right now, where and when would you go, and why? Beauman: I wish I was attending Frieze Art Fair in London. I can’t really justify the flight from Istanbul, because I have nothing to do with the art world, although like many novelists I am always looking for a way to wheedle my way in. IFOA: There’s been a lot of talk about the fact that you were longlisted for the Man Booker Prize at age 27. Tell us, what’s age got to do with it? Beauman: I’d like to make a remark here about how I wouldn’t even have been the youngest person ever to made it to the shortlist. But that would make it easy to infer that I’d gone to the effort to check that on Wikipedia. So I had better move on. IFOA: You’ve been writing since you were a child. What was the subject of the first story you remember writing? Beauman: I don’t remember. The first story I got published, in a university creative writing magazine, was a sort of Pale Fire knock-off in the form of a DVD director’s commentary on a bad film, also inspired by some of Jeff Alexander and Tom Bissell’s similar pieces on the McSweeney’s website. IFOA: What are your favourite and least favourite words—today, at least? Beauman: Favourite: “simit”, because it’s one of the Turkish words that I can remember. Least favourite: “afedersiniz”, because it isn’t. 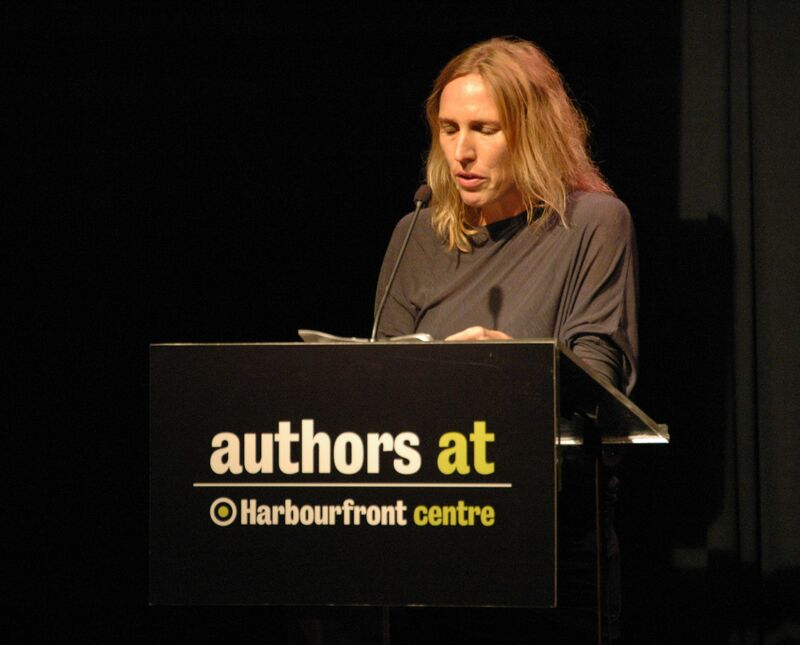 For more about Beauman at IFOA, click here.